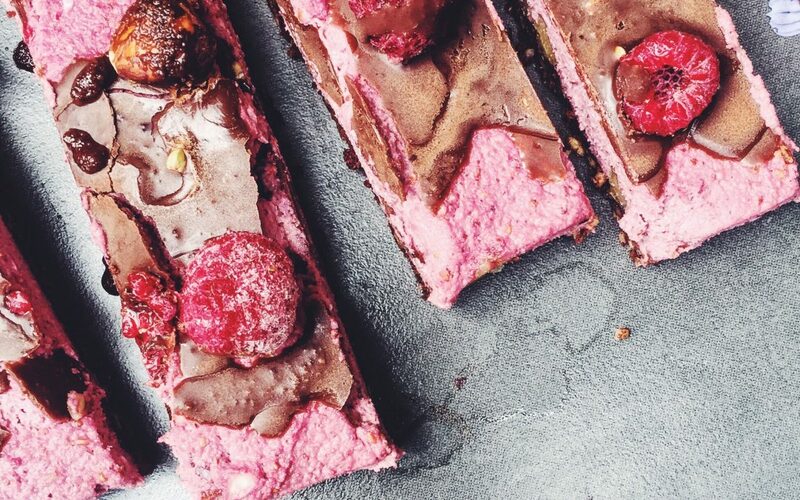 This Raw Choco-Berry Caramel Slice makes the perfect holiday season decadent dessert. It is 3 layers of bliss and despite looking complex, basically just involves a lot of blitzing in a food processor. It is also packed full of healthy fats, and antioxidants from the raspberries! Store in the fridge and enjoy! !